There are many different problems that garage door systems can experience, and our technicians are experts at dealing with all of them. Find out more about how we can help by checking out some of our latest projects. 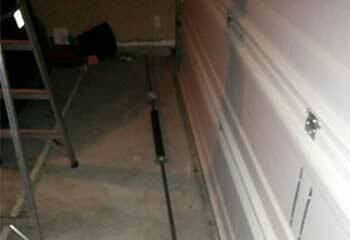 Customer Issue: Mr. Pond’s old garage door opener had seen its last day. He needed a new one. Our Solution: Since cost was a bigger issue than noise, our team helped Mr. Pond pick a Genie 1035-V chain drive opener with integrated smartphone controls. Fortunately, the sensors from his old system were reusable, so we secured his new opener to the ceiling and connected it to the door and to the existing sensors. Our Solution: We first checked to make sure the sensors' lenses were fine, which they were. It was just a matter of correcting their alignment so that they would allow the door to close. After we completed this task we tested the door and the problem was gone. 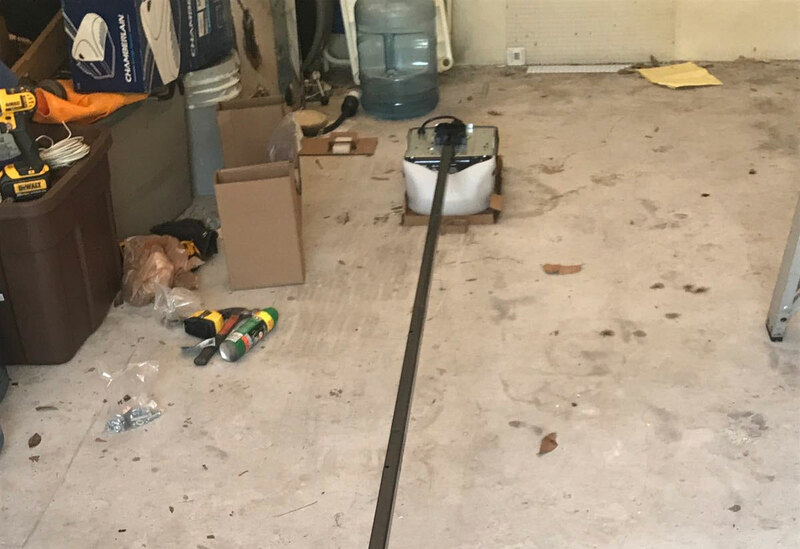 Customer Issue: Unbalanced garage door. Our Solution: We checked the condition of the lift cables and the adjustment of opener's travel limit switch to rule them out first. 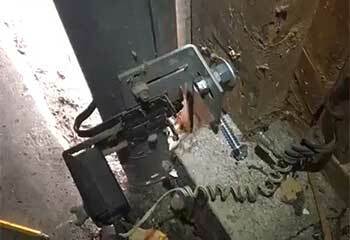 Then we proceeded to adjust the extension springs and that had solved the problem. The door returned to its properly balanced state. 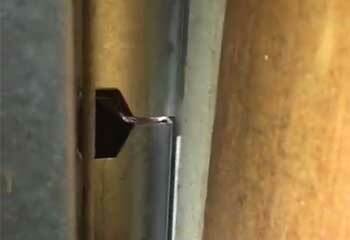 Our Solution: We examined the door and its rollers to rule them out as possible culprits. The problem was, in fact, with the vertical tracks, as they had become quite severely rusty. We removed them both and installed new ones of matching specifications in their place.